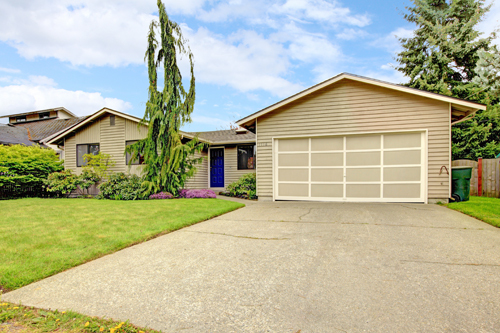 Are you thinking of replacing your garage door? Read our FAQ section for more ideas. When should I replace my garage doors? Broken garage doors can be a hazard to your family. It is best to get an expert to inspect and assess the damages and to decide whether your door needs to be replaced. Our experts suggest replacing your doors when remodeling to increase curb appeal and bring up your home's resale value. Choosing which door to buy depends on your needs as garage doors differ in style, level of maintenance, energy efficiency and suitability to location. First, determine which material suits the level of maintenance you want and then choose what color and design best compliments your home. Lastly, assess the level of energy and noise reduction based on your location. What is the importance of balancing a garage door? This is an essential aspect of coping with wear and tear. In ideal circumstances, the garage door should travel no further than the point at which the controlling opener is stopped. Moreover, it should retract in the face of an obstacle. However, with time the garage door gets out of balance. Can I replace the torsion spring/ extension spring on my own? While DIYers are capable of performing many tasks by themselves, the dangers involved when dealing with a volatile spring are serious. Torsion springs have been known to cause severe enough injuries that result in amputation or death. Extension springs have the energy to also potentially cause great physical harm to anyone in its path if they fly off their brackets.